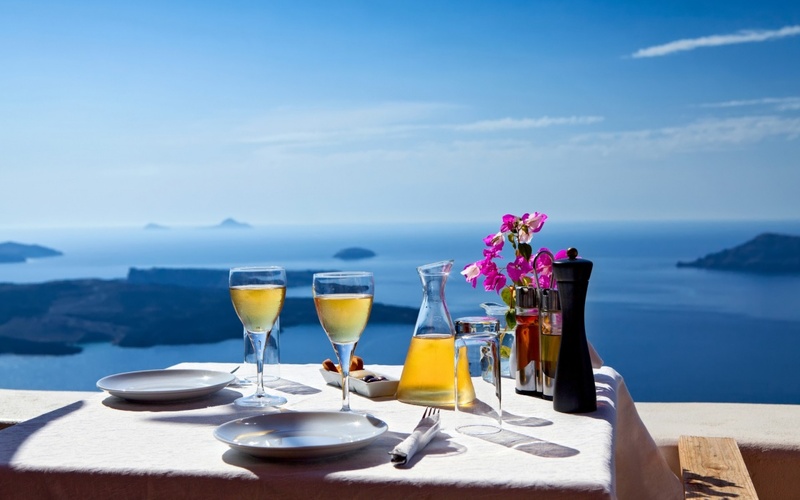 Are you a wine-lover and you are still thinking about booking your holidays to Santorini? Well this greek island will never ever disappoint wine-lovers. This beautiful greek island has a wide variety of quality wines that it produces to offer to all the visitors! The vineyard of the island is one of the oldest in Europe (300 years old) and you really have to see it! Visit the amazing wine museum, an amazing natural cave, an underground wine paradise that promises to keep up to your expectations. The wine factory of George Koutsogiannopoulos, in Vothona in Santorini managed to record with the best possible way all the phases of wine production and you have to take a personal tour to see for your own this amazing exhibition! However apart from the museum during your stay in the island of Santorini you have to try the local wines for both white wines and red ones. The varieties of white wines like Aidani, Assyrtiko, Athiri are excellent quality wines in very reasonable prices and you can find them to various traditional taverns and restaurants served with delicious local delicacies. Red quality wines are Liatiko and Mandilaria and many more but the best thing you can do is ask the taverns which is the best wine they have to recommend. The most popular wines of Santorini ais Nixteri, dry white wine based on the variety Assyrtiko, Vinsato, white or sweet red wine. Whether you are a wine lover or not when visiting Santorini you have to try out the local wines since they are considered top quality wines in excellent prices and the best thing is that the majority of the local taverns have amazing quality wine because of the island abundance! Find yourself wondering around the island’s wineries and get to know as much as you possibly can and see the amazing underground cellars that will amaze you!